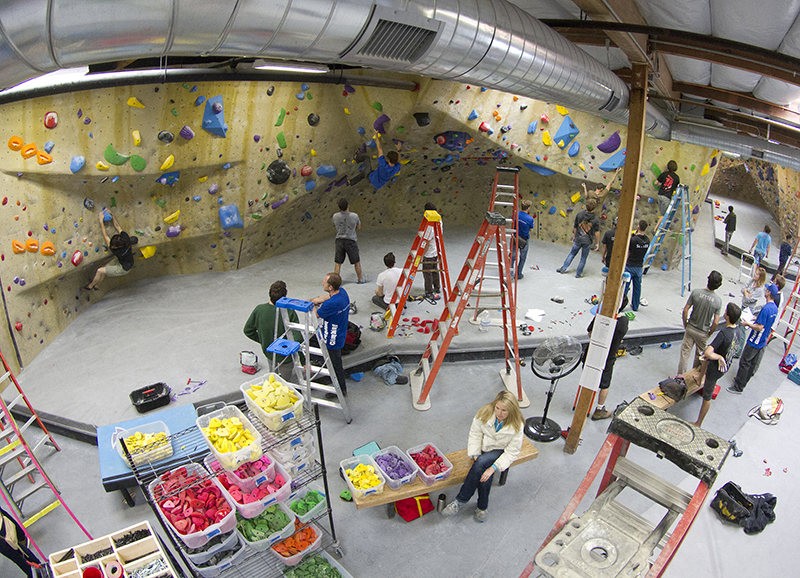 In the Spring of 2014, Louie Anderson joined forces with Kingdom Climbing to organize and run the first formal competition for route setters. The Kingdom Games were held at The Factory Bouldering, in Orange, California and were a huge success. Based on the positive feedback received after that event, Anderson decided to evolve the idea into a continuing circuit of events. Rebranded as the Setter Showdown, the circuit will present a handful of events each year, and will rotate to different gyms around the United States and abroad. It’s our hope that by building events that revolve around route setters and setting in general, that we can bring more awareness to this vital component of the indoor climbing industry. After all, if it weren’t for route setters we would have nothing to climb and challenge ourselves with in climbing gyms. We also intend to work with different hold companies at each event. By partnering each event with specific hold companies, it helps to bring awareness to the market of different companies and their products. The variety of options for route setters expands greatly with diversity in their gym’s hold inventory and we hope to expose the setters involved in our events to new options and companies. 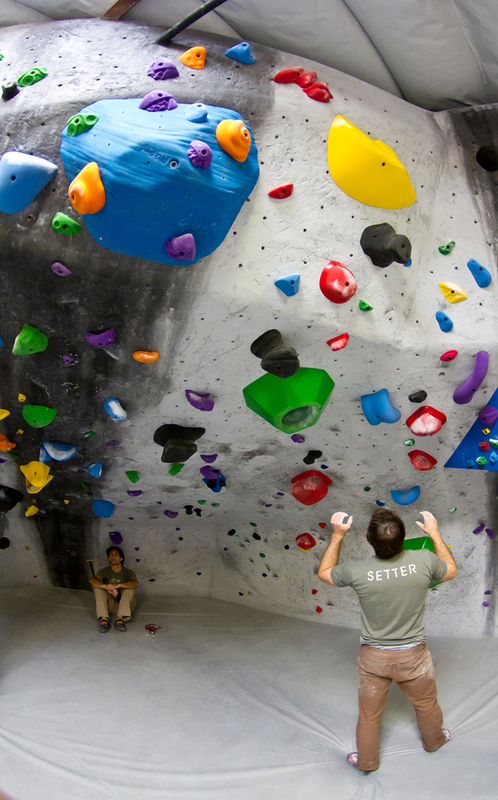 By working with setters from multiple facilities within the host gym’s region, we hope to greater develop the sense of community that we all share as climbers and to extend it into the local setting community. Our events will be run in a competitive format, but we will also place the setters in an environment where they will have to collaborate and work together to present the best climbs for judging. Invariably, setters with different experience levels and talents will be working shoulder to shoulder. It’s our hope that this environment will provide an opportunity for mentorship and learning and that those setters participating in our events will take the opportunity to benefit from this. Each of our events will have a degree of climber involvement when it comes to judging. Climbers are often critical of setters and their efforts, but we hope to educate them somewhat to the factors involved in setting and to put them in a position to where they will gain a new appreciation for the climbs they are exposed to beyond the event. Having this group of climbers involved also gives them an opportunity to enjoy a climbing session with other climbers that might not be a part of their usual partner group, expanding the idea of community and mentorship to the gym’s climber population as well. Each of our events will have an underlying sense of fun. Yes, it is a competition, but we want it to also be a celebration of the route setting activity in general. We hope that all participants will walk away from the event with warm memories of a truly fun experience, regardless of who ultimately wins. Beyond that, the events will offer other elements to further make things festive. This may be live music, a DJ spinning during the event, a BBQ or other type of food, cold beer, a Vendor Village where climbers and spectators can browse climbing products, dancing, slide shows, etc…who knows? Each event will be different, but we hope to always make them fun – for everyone involved.